The Spanish oil group may accept $5 bln from Argentina as compensation for the expropriation of its stake in YPF. The snag? It might be paid in government debt. Still, investors expected less and Repsol probably has little scope to get more in this politically charged situation. A worker walks past the logo of Spanish oil major Repsol outside its headquarters in Madrid. 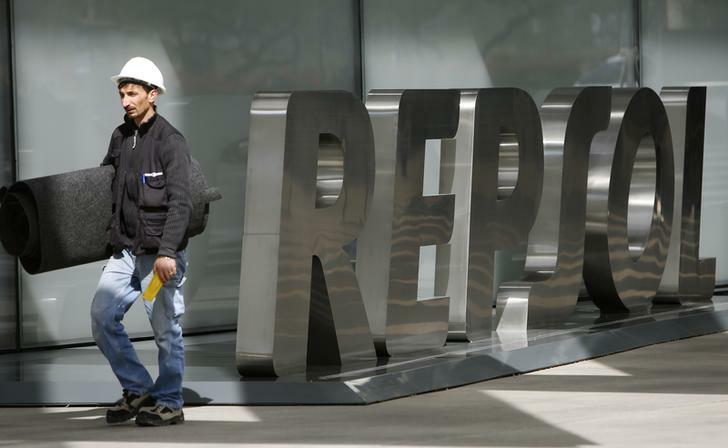 Repsol and Argentina have reached a preliminary deal for the Spanish oil group to receive compensation for the 51 percent stake in YPF that the Argentinean government seized in 2012. The Argentinean government said in a statement that it had struck an initial compensation deal with Repsol including liquid assets. In return, Repsol would drop its legal actions against Argentina. Repsol’s board was due to meet on Nov. 27. El Mundo reported that Repsol would receive $5 billion in debt backed by Argentina’s government. Repsol was seeking at least $10.5 billion and had filed a complaint to the World Bank’s Arbitration Tribunal. A delegation from Spain, including Industry Minister Jose Manuel Soria and La Caixa Chairman Isidro Faine, met Argentine officials in Buenos Aires on Nov. 25 along with Emilio Lozoya, chief executive of Mexico’s Pemex, a shareholder in Repsol.